877-754-8376 to reserve your trip! 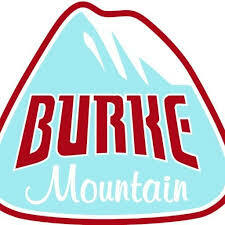 Classic Ski Tours has been providing quality all-inclusive ski and snowboard packages to New England for over 30 years! We loved New England so much that we moved our offices and my home to Northern Vermont, to better serve you and provide you with the BEST group ski and ride package prices. As a resident of Vermont, I have skied and lodged at ALL of the mountain destinations, to ensure your group of a perfect mountain vacation. And remember we give you a gracious one complimentary trip for every 10 paying participants for youth groups. Mount Snow Resort - from $199 and lodging at the beautiful Holiday Inn Express Brattleboro Vt.
Okemo Resort - from $199 and lodging at either the Holiday Inn in Rutland Vt or the Holiday Inn Express Springfield Vt.
Not traveling with a group but still want discounted lift tickets and lodging. Go to Vermonttravelclub.com and purchase our discounted ski cards. The only card that saves you money to the best resorts in the East! A portion of our profits are donated each year to local charities and nonprofits!